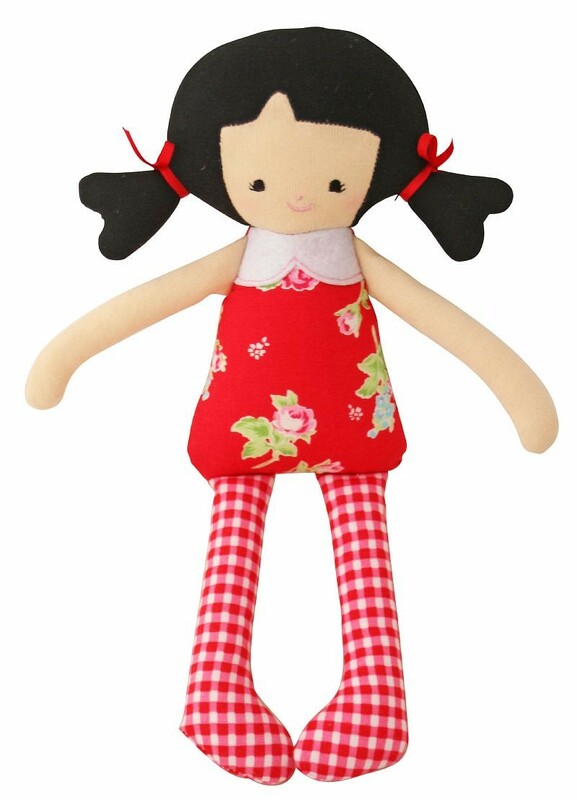 The Martha Doll Rattle is a lovely soft first toy by Alimrose Designs. Sweet Martha is dressed in red floral fabric with piggy tails in her hair. She has a rattle inside and make a lovely soft sound when moved. Alimrose Designs toys are detailed in design and use a variety of colourful, vintage inspired materials, making these products wonderful gifts for babies and children.